2.Bring it to a boil and then swirl. 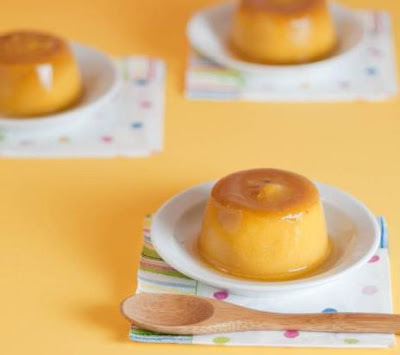 Shift this caramel souece into puddings cups and cool it down in a fridge. 2.Remove the pieces and let cool. 3.Push pumokin through a mesh sieve. 4.Add the other ingridients and mix together. 5.Shift 4 into a bowl and bring it to a boil. 6.Place into the pudding cups.